Tan Delta testing creates the idea about the insulation ageing or healthiness of the insulation and predict the remaining life of an electrical equipment. Tan delta test will be conducted in Transformer’s insulation oil, bushings, electrical cables, Insulators, electrical motor/generators windings etc. It is also called as dissipation factor or loss angle test. 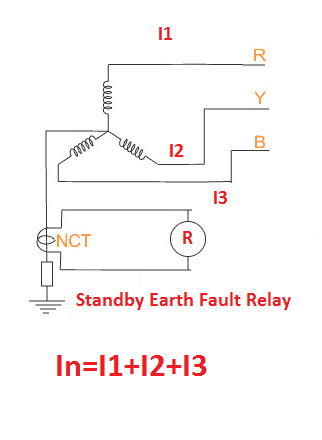 Consider an insulator, which is connected across the line to earth, it acts like capacitor. Here The insulation material in an insulator act as dielectric material. The insulator allows the electric current, when the capacitive component present in the insulator, at the same time the electrical current passes through the insulator via the resistance component of the insulator. But the insulator is 100% pure there is no resistance, and there is no current flow. In a pure capacitor, the current leads the voltage by 90 degrees. The insulation of the insulator in a pure condition, will behaves like capacitor. But, in practically it is highly impossible. There will be of ageing impurities like dirt and moisture enter into the insulator. These impurities provide the current flow path (creates resistive component) through the insulator from line to ground. This resistive component will cause the angle of the current to be less than 90 degrees. This difference in the angle is known as the loss angle. A higher value for the loss angle indicates a high degree of contamination of the insulation. Therefore, the healthiness of an insulator can be estimated by ratio of resistive component to capacitive component present in the insulator. This ratio is called as tanδ or tan delta. 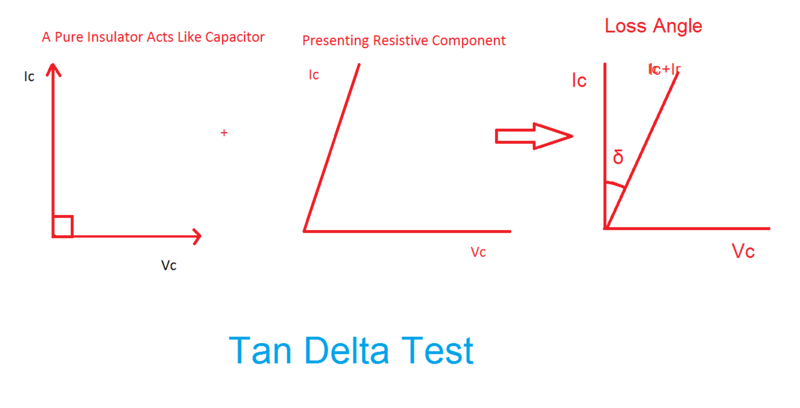 Key Point: The Tan Delta test works on the principle that any insulation in its pure state acts as a capacitor. For good or healthy insulator, the ratio is less, the ratio increases as the insulator age. The testing equipment should be isolated from the power source, it may be Transformer’s insulation oil, bushings, electrical cables, Insulators, electrical motor/generators windings etc . A very low frequency test voltage is applied across the equipment whose insulation to be tested, typically the frequency ranges between 0.01Hz to 0.1 Hz. Applying a low frequency causes a higher value of capacitive reactance (Xc=1/2*π*f*C here the low frequency increases the capacitive reactance) which leads to lesser power requirement during the test and enabling easier current measurement. The measured current will be tabulated. 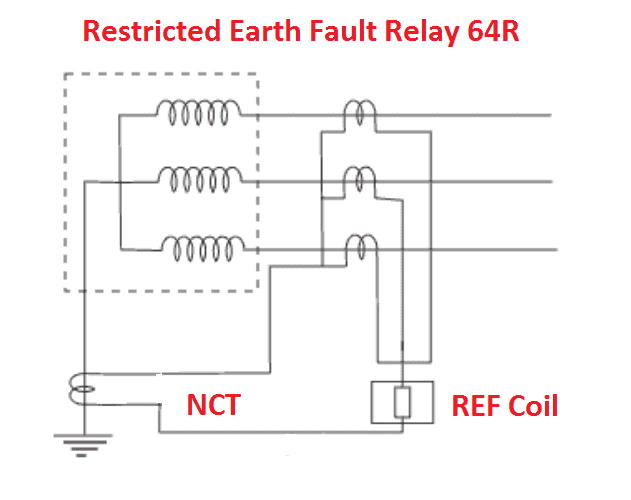 Continue these process until to reach double the rated voltage of the insulator. The tan delta controller unit takes measurement of tan delta values. A loss angle analyzer is connected with tan delta measuring unit to compare the tan delta values at normal voltage and higher voltages, and analyze the results. By Comparing exiting result with previous result gives the idea about the insulation ageing. Also you can find through the loss factor, If the insulation is perfect, the loss factor will be approx.. same for all range of test voltages. But if the insulation is not sufficient, the value of tan delta increases in the higher range of test voltage.